What Is Eczema and What To Do About It. Home » Articles about our Treatments » What Is Eczema and What To Do About It. Eczema is an inflammation of the skin that can leave you with patches of skin that are itchy, red, sore, blistered or even bleeding. It’s the result of a reaction or allergy but often there is no real cause for eczema. Because of the itchiness, you can break out into a rash and your skin sometimes will feel scaly. Eczema can come and go as well, so it’s important to understand if you’re prone to getting it and what you can do when you have it. Eczema often resembles a rash, so it is possible you just have a rash. No big deal. 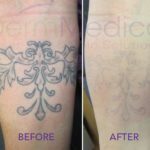 The difference between a rash and eczema is that the former goes away once the cause of the rash has been removed, however the latter will keep coming back. Also easy way to tell is that not all types of rashes are itchy, but all types of eczema will be. If you think you might have eczema, you can visit your family doctor or your dermatologist who can assess the situation and provide an appropriate course of treatment for your condition. So What Happens When You Have Eczema? We’ve discussed before that there are different layers of the skin (epidermis, dermis and subcutaneous layers), and each layer of skin has special cells that each perform a specific job function. 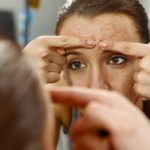 Well, some of those special cells are responsible for attacking anything that might irritate or bother your skin. When they react your skin becomes red, inflamed which means they are hard at work. If you are prone to eczema, it just means you have more of these cells then others. And it also means that your skin is more likely to develop sores and lesions than others. Eczema isn’t an allergic reaction to anything, but those who are prone to allergies like asthma, hay fever and the like are definitely more likely to develop eczema, your condition will appear when you do have an allergic reaction to something. It’s important to note that unlike rashes, eczema is not contagious so you can’t get it or pass it on to others. Depending on your particular case, there are several things that can trigger eczema, but again this differs for everyone. Things like perfumes, detergents, soaps, wool, creams/lotions, dry air, sweaty skin, certain foods, and much more. Well, the first thing you should do if you think you have eczema is to see your doctor. Once your doctor has confirmed you have eczema, he or she will let you know what you should and shouldn’t do to treat your particular condition. Try oatmeal soaking products (you can get those at the pharmacy) which help alleviate some of the itch factor and moisturize after bathing. Wear cotton and other natural fibre clothes to help your skin breathe, and don’t wear clothes that are too tight. You might need a prescription for corticosteroid creams to help reduce the inflammation or antibiotics if you have developed an infection as a result of the scratching. If you have any tips on what makes your eczema better, please share them by leaving a comment below.